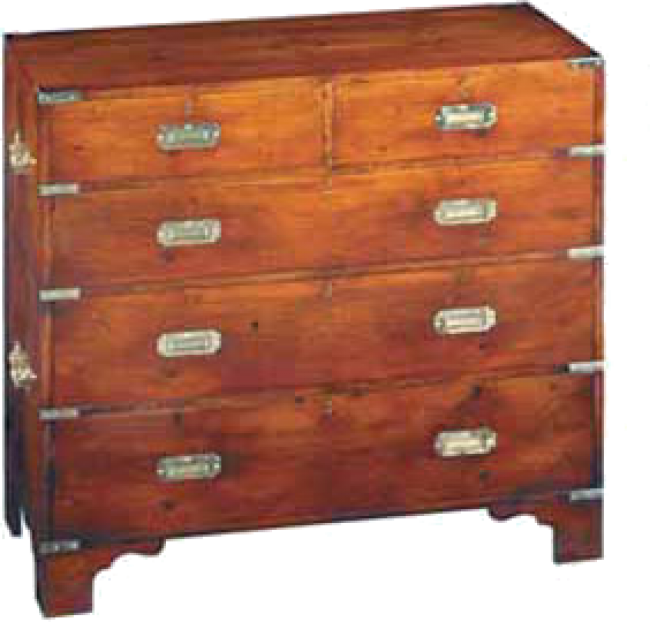 Five drawer Campaign Chest pictured in Yewwood. All drawers lock. Solid brass hardware. Bracket feet.